eXp Realty is disrupting the real estate industry as we know it. They’ve got a stack of awards in a mile high, including the 2018 Inman Innovator Award for Most Innovative Broker Owner. They’ve grown to over 16,000 real estate agents around the world and increased their revenue 232% in 2018 Q3. That’s great news for them. What about for the real estate agents they rely on for their success? 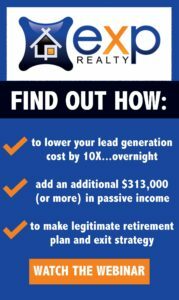 Real estate thrives on leads, and the Make It Rain program gives you a mostly hands-off approach to lead generation. They launch campaigns and ads on your behalf to send qualified leads to your website. From there, you can do what you do best: connect with people and make their dreams come true. The revenue-sharing program is truly one of a kind. Because their success depends on growing their agent base, they’re giving you plenty of incentive to help. Sponsor agents and you’ll receive money on their first transaction, plus residual income based on their productivity. And, you’ll earn passive income from the agents they sponsor, too! Unlike some real estate agencies that have a national or global presence, eXp Realty isn’t a franchise. Rather, they’re a single company that has tapped into international markets because of their cloud-based presence. This means you’ll never have to pay franchise or royalty fees, which keeps more commissions in your pocket. eXp Realty invests in every agent with over 30 hours of online weekly training at their virtual campus. You can also reach out to support in financial data, technology, and agent services to get answers to questions or simply improve your business. 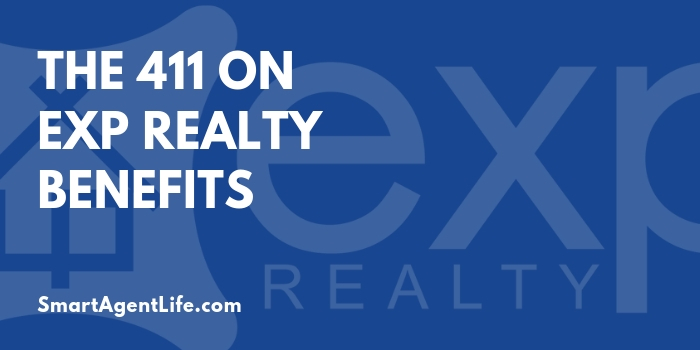 All of the training is included as part of eXp Realty’s service to you, so you never have to pay extra when you need help. Smart Agent Life has joined eXp Realty to help you build a better career in real estate. We help our team leverage eXp Realty’s model to increase commissions, earn passive income, and enjoy a more rewarding career. Schedule a free consultation to learn more about how Smart Agent Life can help you build the real estate business you always wanted.